I know the Bantlemans, and I too have taught at international schools in Asia. I met my husband--a guy from Edmonton--in the Middle East, and we had twins in Bangkok. I know the lure and the realization of what Mrs. Bantleman describes as wanting "to learn more about the culture and the people" of a far off land. I also can imagine how powerless you would be if incarcerated in a foreign country. It is without a doubt something every teacher has thought about: What if I am falsely accused of hurting a child? It's one thing to have that fear grip you when you're working in Canada; it's another thing to have it realized when you're teaching abroad. Veteran teacher Neil Bantleman, 45, whom I had the pleasure of teaching with at Webber Academy in Calgary, knows this first hand. He is employed by the prestigious Jakarta International School (JIS) in Indonesia, a school whose reputation for excellence is known globally on the international teaching circuit. In a legal case where the "facts" change almost daily, Mr. Bantleman, along with teacher's aide Ferdi Tjiong, has been detained since Tuesday, July 15 for allegedly sexually assaulting young students at the school. 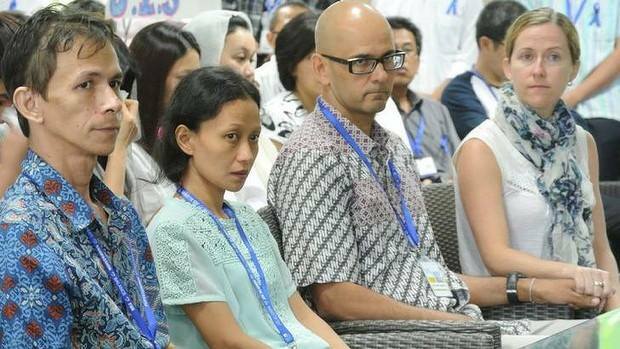 In an emotional press conference, Mr. Bantleman's wife, Tracy, also a teacher at JIS, pleaded for his release. "Although I respect the laws and the police and what they are trying to do in this investigation," she said, "I have to question why my husband is being detained and why Ferdi is being detained. We've been 100% cooperative. They have not given us any evidence as to why my husband and Ferdi are being detained." Earlier in the case, several janitorial staff from Jakarta International School were detained. One allegedly committed suicide while being held. A Facebook group called Free Neil Bantleman & Ferdi Tjiong has been started by one of Mr. Bantleman's former students. In less than a week, it has amassed over 1500 members, many of whom are Mr. Bantleman's former and current students as well as their parents. This group is lobbying the Canadian government and Embassy in Jakarta "to act immediately and protect this Canadian teacher, husband, and friend of truest integrity." 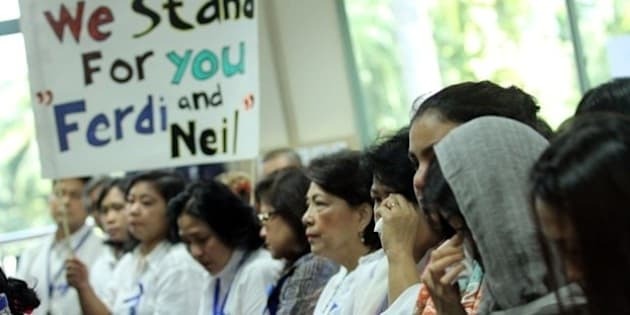 At the press conference where Mrs. Bantleman pressed for the release of her husband and Ferdi Tjiong, who are wearing uniforms marked PRISONER, she promised Indonesian authorities, "We're not going to leave. We're going to stay here and cooperate with the police." She said, "I just ask the police to let them out so they can just be with us." Please consider sharing this, or writing a Canadian MP or Prime Minister Harper. It's a matter of human rights.